If any larger tech corporation could be considered adventurous, it has to be Sammy. Now interested in tapping into the very niche market of selfie-centric consumers, Samsung is reportedly working on a new Galaxy Grand Prime smartphone. The latest leaks suggest that the new edition in the series will have a primary focus to please those who want to have a strong front shooter. Samsung Galaxy Grand Prime will be the conventional Galaxy phone with a 5-inch QHD 960 x 540p screen and carries almost all the specs of the Galaxy Grand 2 except of course a downgraded display. The leak around Galaxy Grand Prime comes through a Vietnamese website. The highlight, however, is the 5-megapixel front shooter making it a perfect smartphone for the selfie fans. The rear camera is a moderate 8-megapixel deal and the smartphone will be powered by a Snapdragon 400 processor, 1GB of RAM and 8 GB of internal storage. 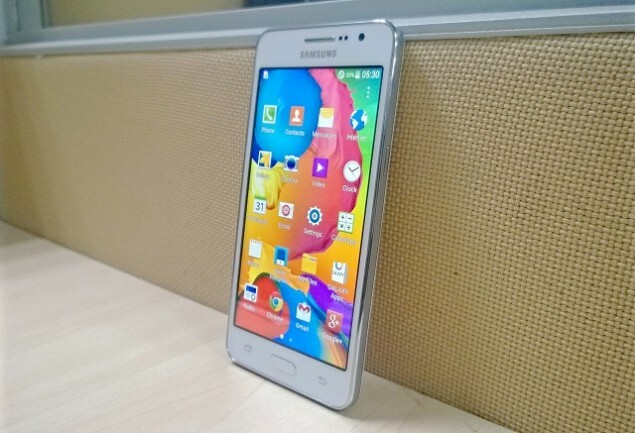 Samsung Galaxy Grand Prime will come with Android 4.4 KitKat. If rumors are to be believed, we will see Samsung Galaxy Grand Prime launching in October in Vietnam.